Rose early because I had an appointment at the doctor’s surgery to check on my alleged asthma! I really am feeling extremely good and the doctor told me that I did not need to attend the meeting with the nurse next week. I have an inhaler which I am to use if and when I feel the need of it. Back home I started to catch up on all that had gone by the board while I was away in Crieff and at Stirling. 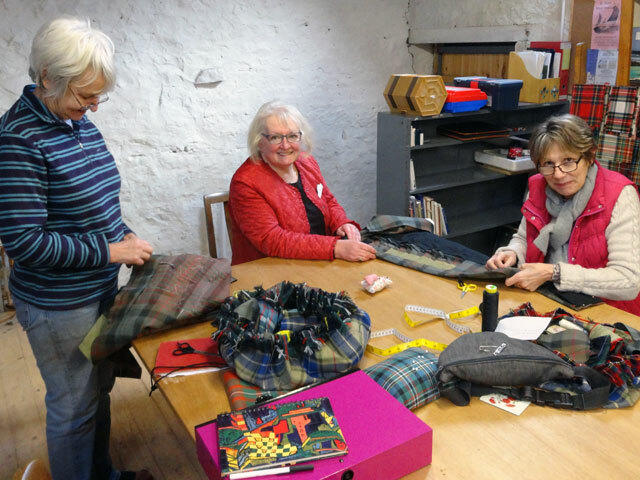 David popped in – it was good to see him – and Rachel and Ann continued with their kilt-making course. Two of their students have now completed their kilts, been awarded their certificates and set off triumphant into the outside world. Mum went off this afternoon to her University of the Third Age book group to continue her study of South American literature. In the evening, Olive, Mum, Rachel and I went off to Kelso to the Cross Keys hotel to attend the adoption meeting of our local SNP Westminster candidate, Calum Kerr. 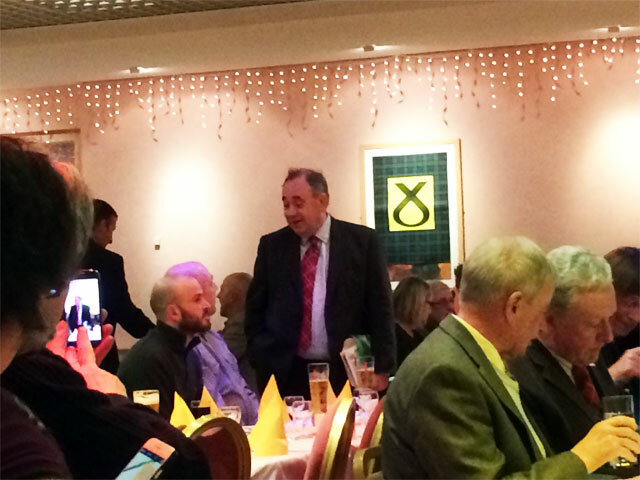 It was a grand event, around two hundred and fifty people present, the evening chaired by Paul Wheelhouse, MSP with a speech from Calum, an excellent buffet dinner, some musical entertainment and the main speech of the evening by Alex Salmond, MSP. I have heard many politicians speak but what made Alex Salmond stand out for me was his good humour (not his comedy but his good humour which never descended into slanging off his opponents in the way which has become customary at such events). It was, in fact, a family event as Alex Salmond’s sister is the candidate’s agent and at one point the former First Minister sang a duet with his young niece, ‘Jock O’Hazledean’. It is reckoned, I understand, that seventeen thousand votes will win the constituency and the SNP already has more than thirteen hundred members. It is a good start. All of us, Mum, Olive, Rachel and I, enjoyed the event and admired the way Alec Salmond worked tirelessly to ensure that the evening was success. He must have spoken to, or had his photo taken, with almost everyone and I, for one, was enormously impressed.